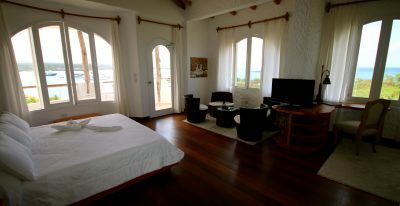 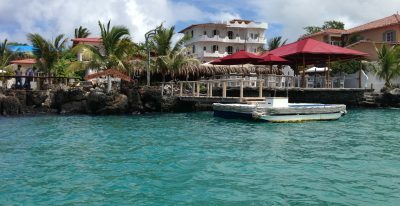 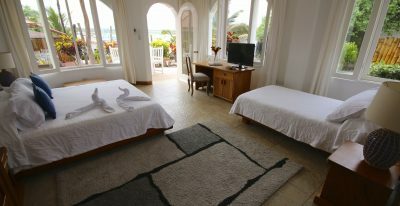 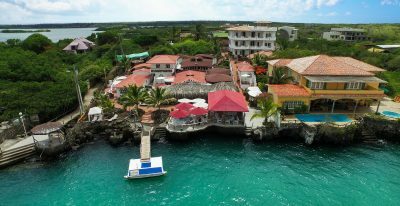 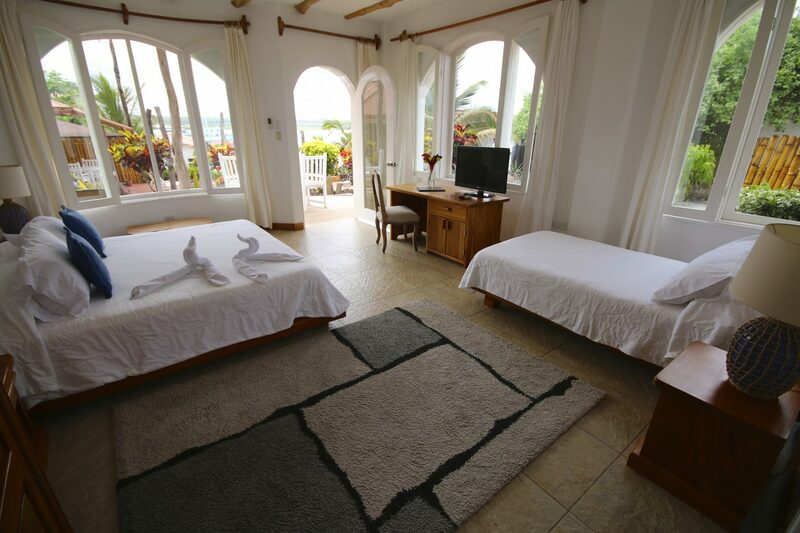 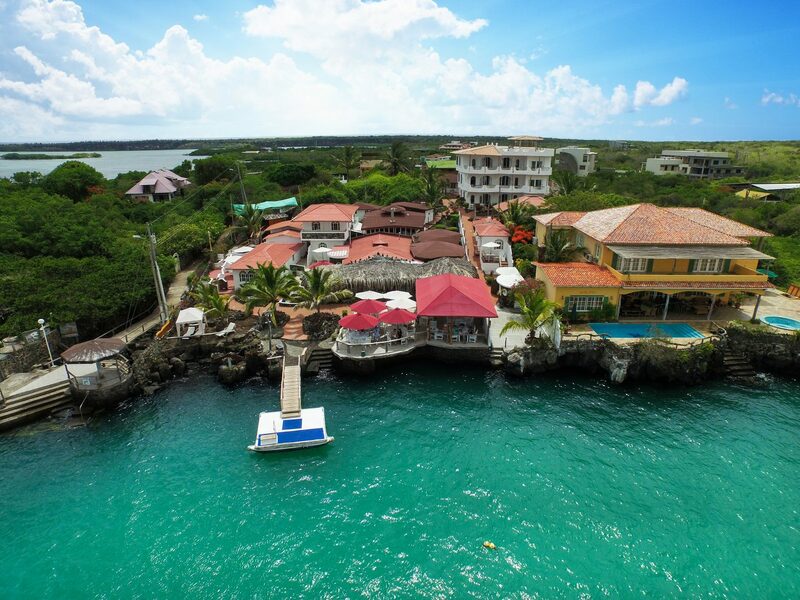 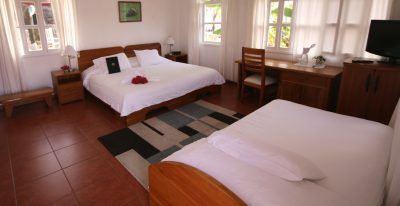 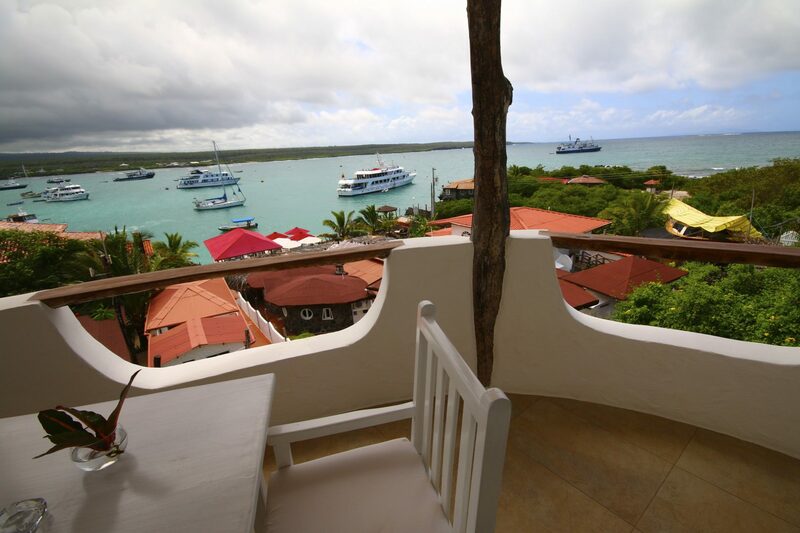 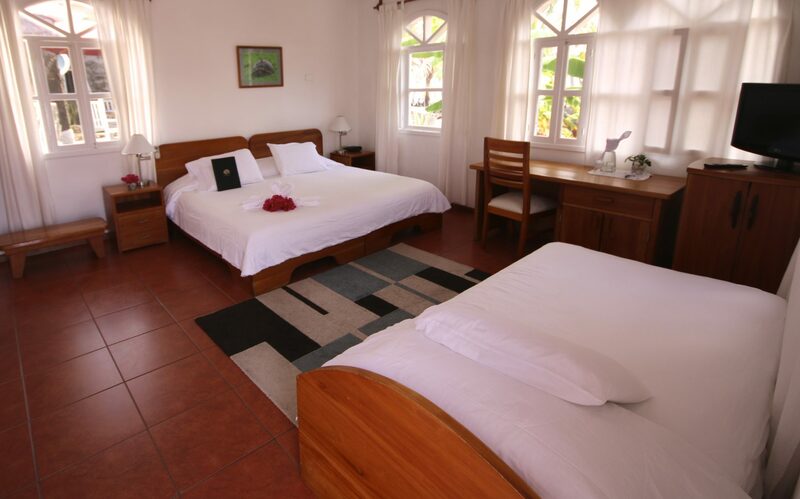 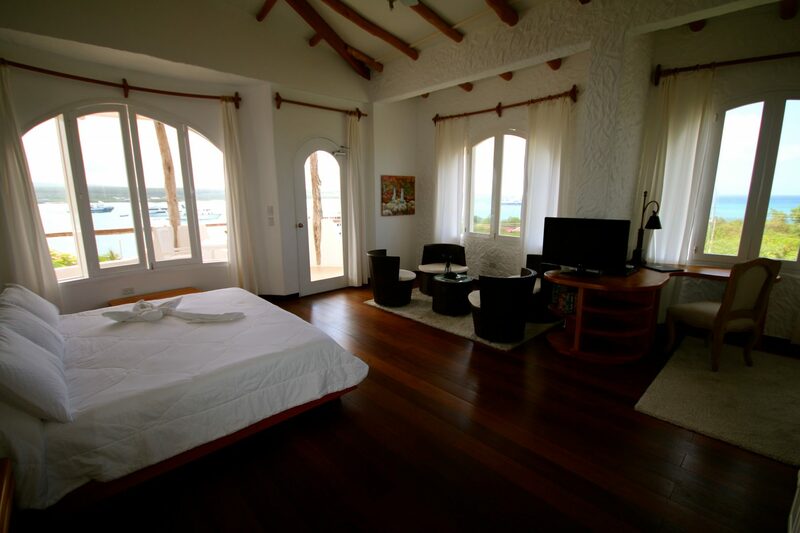 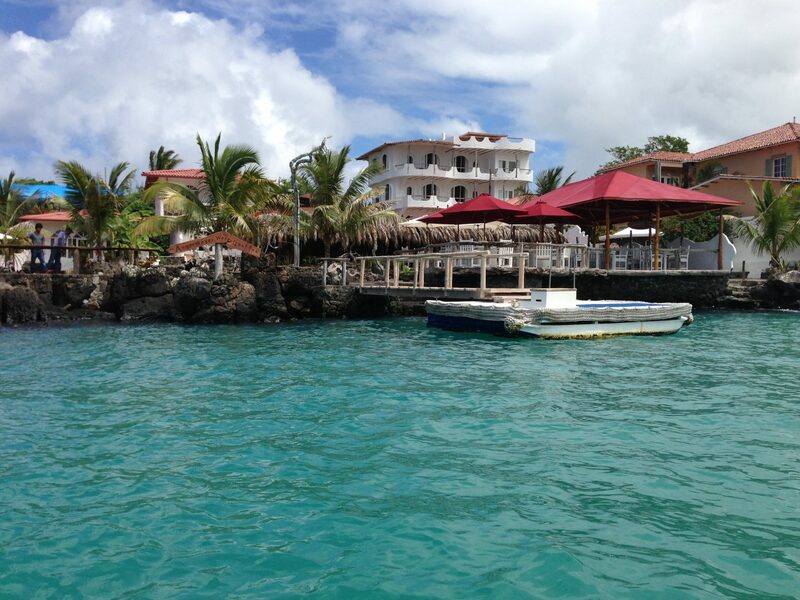 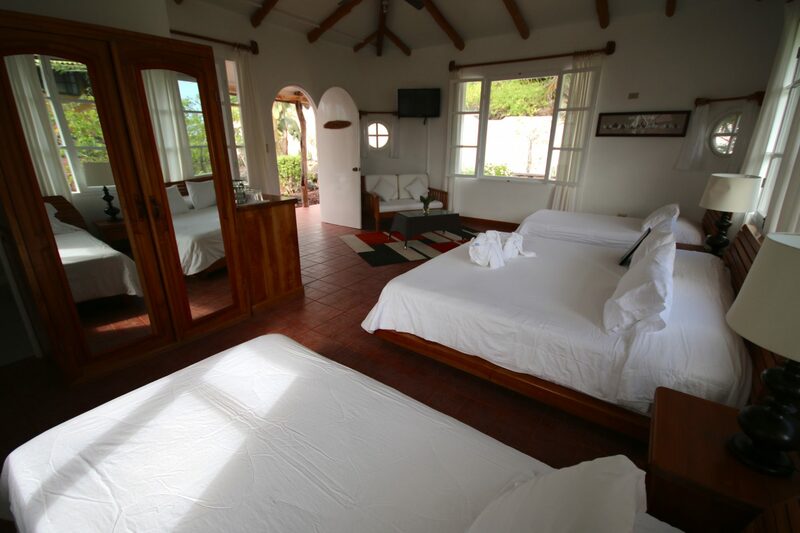 Constructed of local materials such as lava rocks and driftwood, the Angermeyer Waterfront Inn sits on the waterfront in the area known as “Punta Estrada,” just across the bay from Puerto Ayora. 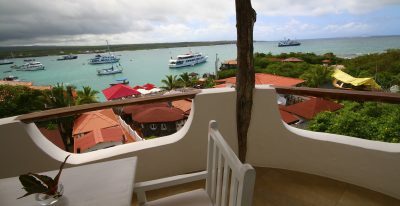 This historic hotel was constructed around the Angermeyer Cave, which once housed some of the earliest settlers of the Galapagos. 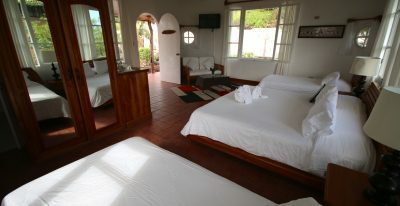 The original Angermeyer Cave forms the Inn’s reception and lounge area, while two other buildings hold 16 rooms with different layouts. 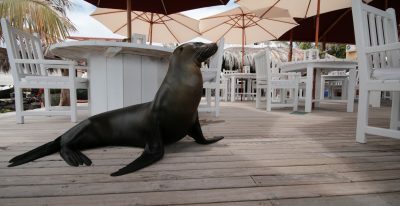 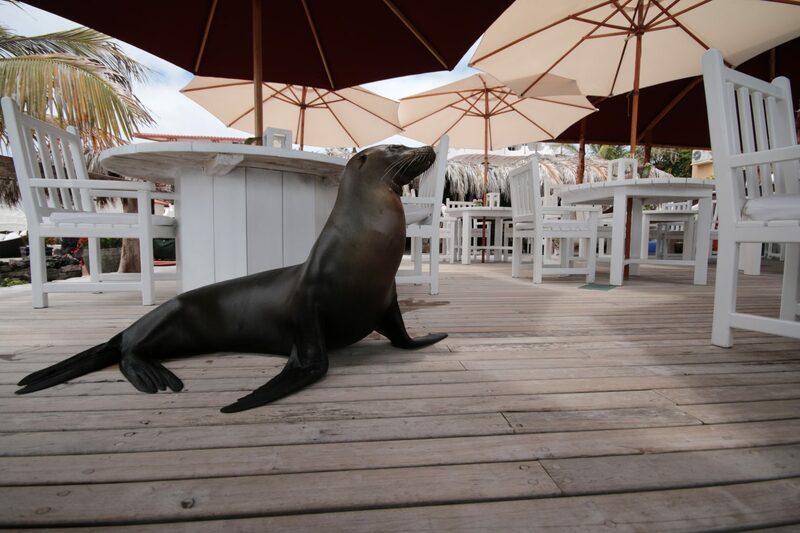 The hotel also offers water-side dining with exception views of the bay.